I pour my coffee, open my laptop, and dial into the company-wide video conference. My face pops up on the screen alongside a dozen little squares showing my colleagues in various degrees of pixilation. “Where are you?” the marketing director asks. “It looks like you’re inside of a palette crate.” He points to the unfinished plywood wall behind me as a communal chuckle breaks out. “I’m at home,” I say. Home for me is a well-loved and generously driven 2004 Sprinter van with bins of food and climbing equipment stacked under the handmade bed frame. My colleagues’ good-natured laughter reminded me that while most of them knew I worked and lived full time in my van, few had actually seen the glamour of my home office. Singing the praises of outdoor adventure, meaningful life experiences, unbridled travel, and affordable living, more millennials like me are foregoing traditional housing in favor of an RV, campervan, or trailer to call home. And we aren’t taking early retirement to do so. Freedom and flexibility are at the heart of the digital nomad revolution. This generation seeks a lifestyle that rolls financial independence, personal independence, and the newfound joys of location independence into one cozy package (usually on wheels). Enabled by technology, young professionals are increasingly answering the call of the open road by leveraging freelance and remote work. A 2018 report from FlexJobs, an online platform connecting professionals to employers with remote job opportunities, found that 3.9 million U.S. employees work from home at least half of the time—a 115 percent increase from 2005. Freelance, part-time remote, and full-time remote employment all have pieces in the pie. Since 2017, I’ve managed to work remotely either full-time or part-time as a media planner and freelance writer while traveling about 11 months a year. 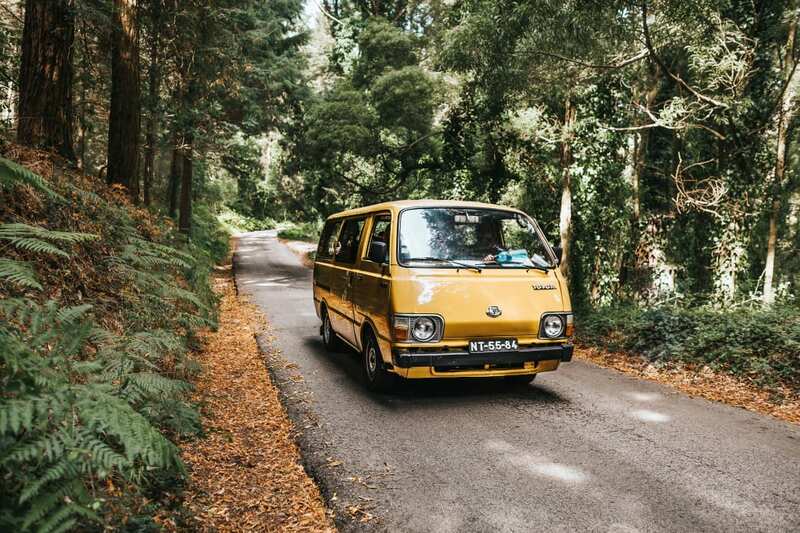 Most of that time has been spent road tripping throughout the United States and Canada in a self-converted campervan. I’ve also traveled by bike and car and lived out of a tent. Living and working on the road full-time meant navigating my personal and professional lives in a new way, at least at the beginning—though the two now feel more intertwined than ever. Along the way, I’ve gathered plenty of tips and tricks from my own experiences and those of others on how to make this lifestyle work, from how to get started to achieving work-life balance. 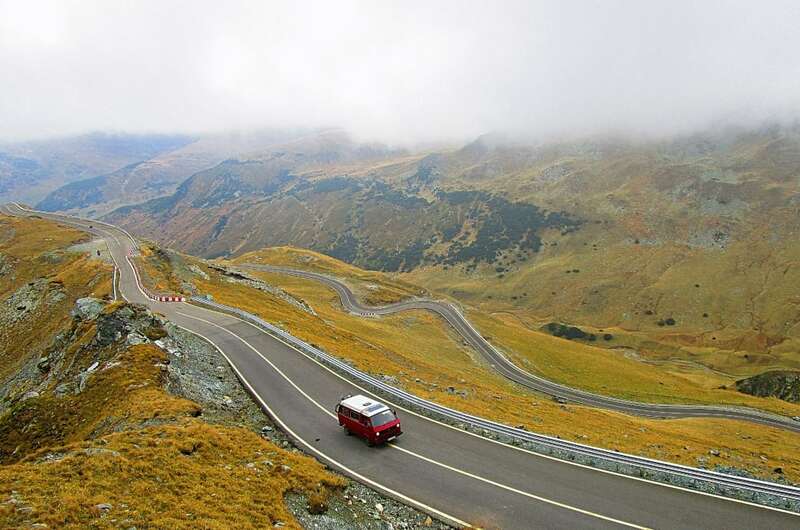 Picking from the seemingly endless options for travel vehicles starts with determining your travel style and budget. Fortunately, RV manufacturers have responded to the uptick in young buyers on the market, offering innovative options for smaller vehicles and trailers with a lower price tag. Modern improvements like mobile app-controlled features and sleeker designs have also added to the appeal. Meanwhile, aspiring travelers with time and tools on hand can opt for custom, do-it-yourself builds in vans or, really, any vehicle type. In my two years on the road, I’ve seen some inspiring bare-bones sleeping arrangements in everything from a Prius to a Jeep Wrangler. The era of remote work is booming. According to FlexJobs, the number of job postings for remote employees doubled from 2014 to 2017. Many large corporations, small businesses, and start-ups across myriad industries are onboard with the remote work movement, upping your ability to find well-paying opportunities that you can do from anywhere. Recommended sectors for finding freelance or contract employment are computer and information technology, accounting and finance, human resources, writing and editing, and administrative, according to FlexJobs. Data entry, software development, and project management also offer high rates of freelance openings. And trend reports show that roles in marketing, sales, customer service, and development are ideal for securing a full-time or part-time remote job involving work exclusively for a sole employer. Almost every digital nomad job will require the key to the “digital” portion of the equation: internet connection. Thankfully for location-independent workers, technology and widespread demand for public internet make it relatively easy to stay connected on the road. Throughout my travels, I’ve managed to find public Wi-Fi everywhere I’ve needed it, from metropolitan cities to rural towns to campgrounds (most KOA campgrounds have free Wi-Fi). Along with the tried-and-true Wi-Fi connections at most coffee shops and public libraries, I’ve also emailed and written articles from such unexpected places as visitor centers, laundromats, community centers, gyms, city parks, and grocery stores. Some jobs might require more reliable or secure internet than free Wi-Fi can offer. During the months I held a full-time remote position from the road, I opted for a mobile hotspot, or Mi-Fi, contract with my cellular carrier. These nifty devices allow you to connect your laptop to the internet by using available 3G, 4G, or LTE cell phone networks. The connections are generally reliable wherever there is a cell signal, allowing the flexibility to work from your RV—or really anywhere—on your own time. Similarly, making a Wi-Fi hotspot from your cell phone data plan works well for some, especially on an unlimited data plan. Due to the sometimes slow connection, I generally turn to my cell phone hotspot only as a last resort in a pinch. For remote workers who need access to traditional envelope-and-stamp mail, don’t fret: There are options to access this as well. I’ve used a mail forwarding service for most of my time on the road. The service provides me with a real address (not a P.O. box number) where people send my mail, and then I can schedule forwarding shipments to any address of my choosing (like a local P.O. box or a friend’s house) at any time. Many people ask me if working as a location-independent freelancer is, well, lonely. The truth: It can be isolating at times, but it certainly doesn’t have to be. Within a few months of working and living on the road, I realized that I was far from alone. As soon as I stay in a place for more than a few days, I often start seeing familiar faces at the coffee shop or library. Chatting up these fellow remote workers, I’ve connected with a vibrant community of like-minded professionals working in my field and even in my industry. On top of that, an untethered life affords more flexibility to attend networking and industry events across the country that can enrich your remote working life. Millennials have demonstrated that we don’t want to wait for retirement or settle for weekend getaways in order to travel. Balancing the desire for extended travel with a career no longer means choosing one or the other exclusively. Working while living on the road can be the ticket to a lifestyle of unique experiences—desperate Wi-Fi searching and all. Written by Jenna Herzog for RootsRated in partnership with Kampgrounds of America.